It’s epic! 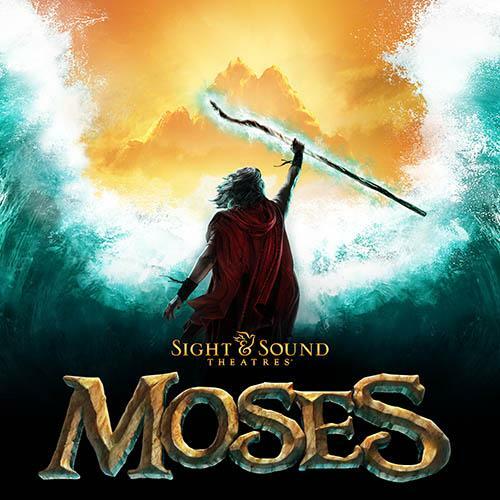 Recently, I had the pleasure of attending the opening production premiere of “Moses” at the Branson Sight and Sound Theatre. Epic was likely the best description on the minds of the 2,000 plus who attended opening night. Naturally, the Biblical story alone is epic. Add to the landmark story experience an epic cast, epic vocals, epic sets, epic live animals from goats, sheep, cows, Arabian horses, to exotic camel, lama, and macaws and what is the result? One epic live stage production which has become expectation for productions coming from the Lancaster (PA) based theater company. The Eshelman family from Lancaster County is commemorating their 40th year of bringing the Bible to life on stage. Sight & Sound Theatre productions are unlike no other. Branson’s newest run of “Moses” fits in the same mold as preceding Branson productions of “Noah” and “Jonah”. Moses, the iconic man of the Bible, was a flawed man who struggled with self-doubt, a speech impediment, and a challenge no man could manage alone. God empowers this man of the people to challenge the authorities and lead his Hebrew nation from the bondages of slavery. You may, or may not know the full story – once you see this production of “Moses” you will come away feeling like you just experienced the miracles of God. The plagues are delivered, the bush burns, the Commandments are forged, and the sea does part – all within the majesty of the state of the art Sight & Sound Theater. Your trip to Branson will not be complete without having gone to “Moses”. In my opinion, there are very few live theatrical productions around the world that will WOW you like “Moses”. Go see it. It’s EPIC!